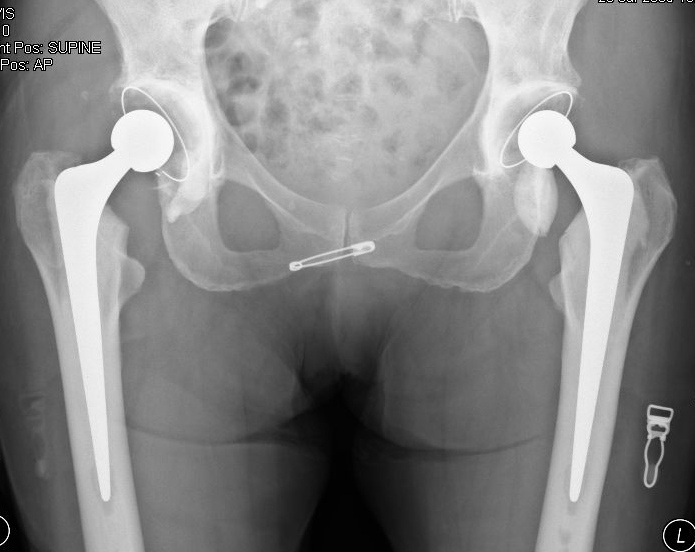 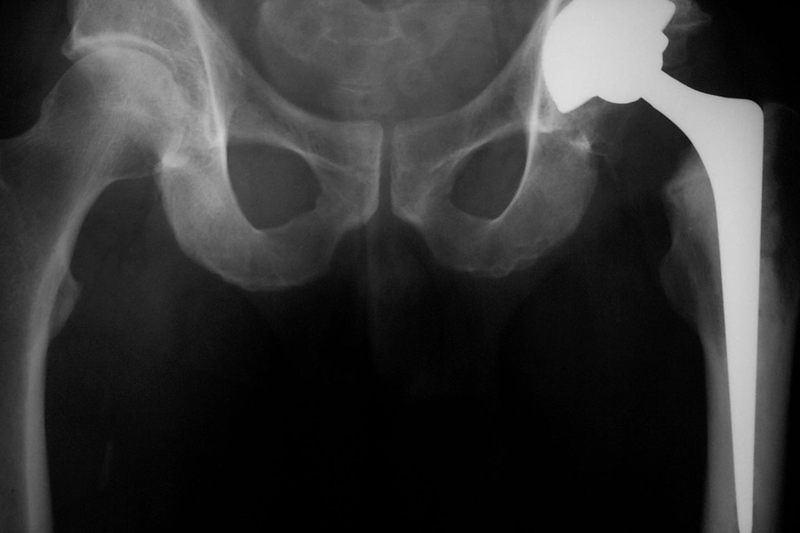 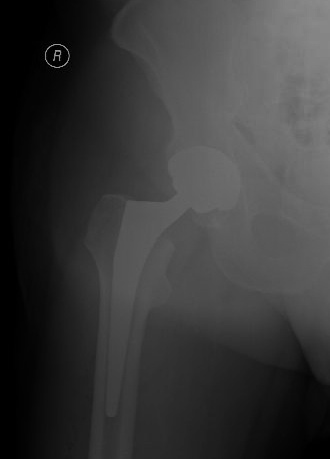 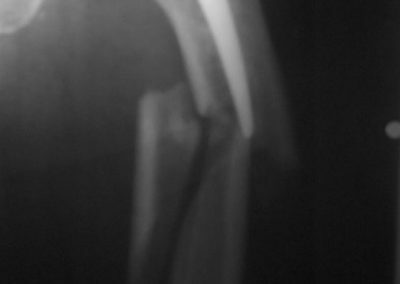 When the hip joint is worn out or damaged beyond repair I perform a Hip replacement. 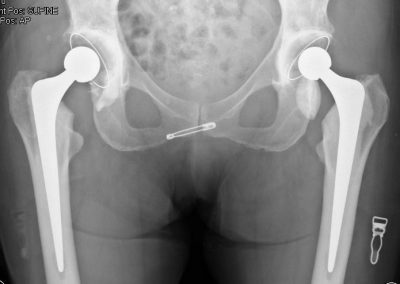 In this procedure the damaged socket is reshaped to accept a metal liner with a ceramic/polyethylene liner and a metal stem used with a ceramic ball. 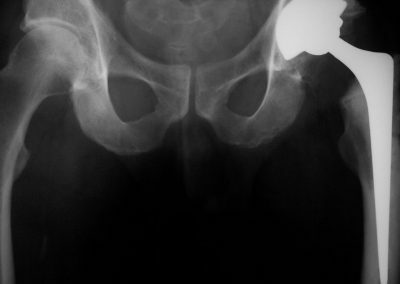 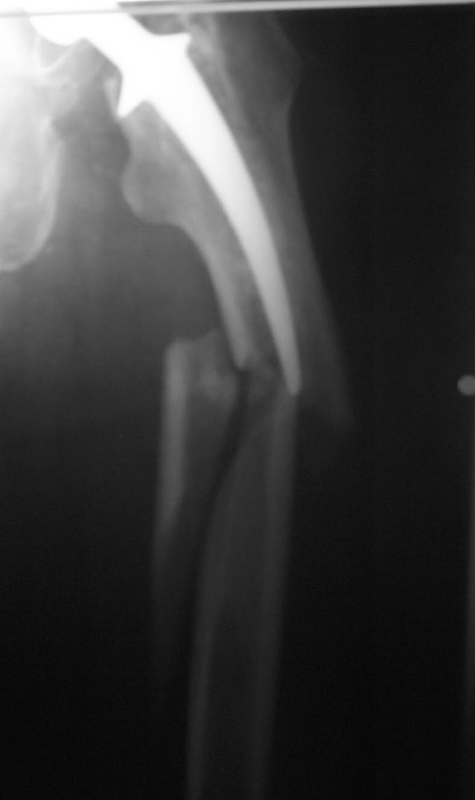 It may be cemented into place or fixed by natural bone healing on to the metal coated with hydroxyapatite. 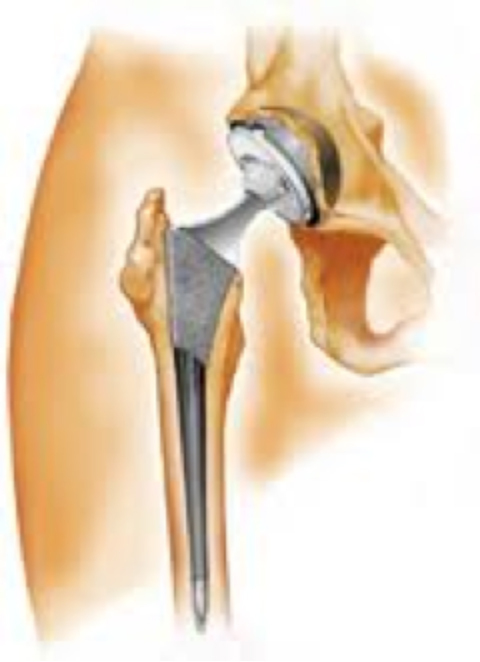 It is a extremely successful operation that works well for many years.